How can curves be converted to meshes? 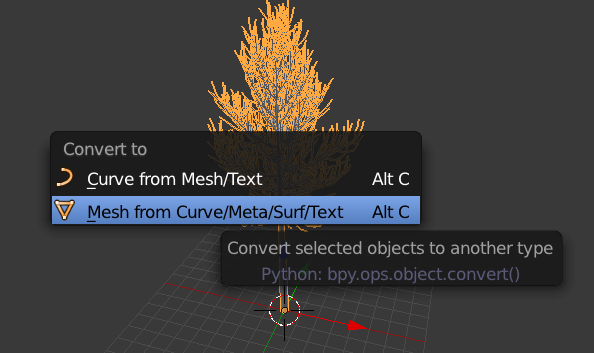 Is is possible to remove the curves and only have the mesh of a tree that was created with the saplings add-on? 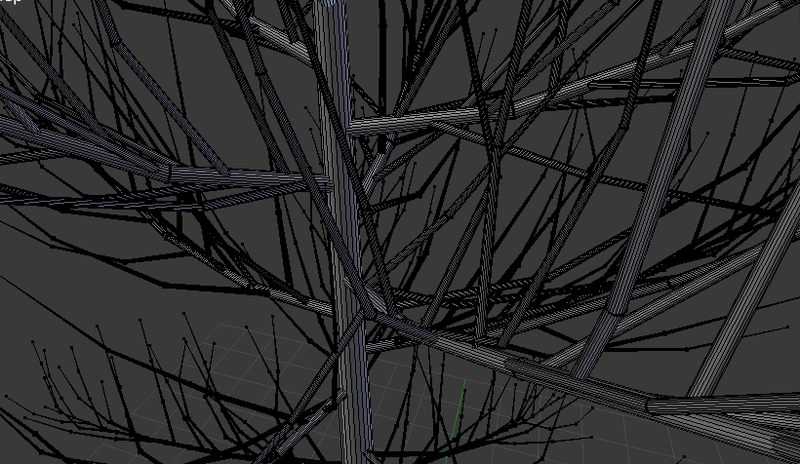 I'd like to apply a decimate modifier to have a few low-poly trees, but this doesn't work because of the curves. I get this message: "Cannot apply constructive modifiers on a curve." The reason you can't use a "constructive modifier" on a curve is because a curve has to be defined by mathematical control points instead of free-floating vertices. You can visualize the decimate modifier in the viewport or render, but if you were to actually apply it you might create a shape that can't be represented by the control point equations, and then you would have broken mathematics. Then any mesh-based modifiers will work fine. Not the answer you're looking for? Browse other questions tagged modifiers curves conversion or ask your own question. How to turn curve into mesh? Is there anyway to make a bezier curve into a mesh object? How to turn face from existing mesh into new mesh? How to create and design hoops net and attach ot to a hoop? How do I maintain the road's texture after applying the curve modifier to make the road a single object?